Born in the 1950s, German theatre director, Willy Decker - who, by the way, staged the world premières of Hans Werner Henze’s Pollicino (Montepulciano, 1980), Antonio Bibalo’s Macbeth (Oslo, 1990) and Aribert Reimann’s Das Schloss (Berlin, 1992) - delivered a stunning, innovative and telling (but spartan) production of Wagner’s Der Ring des Nibelungen. 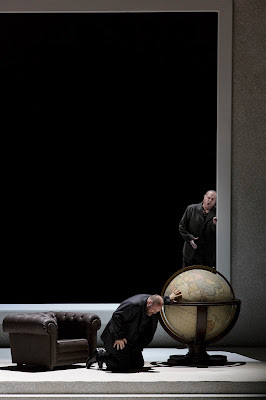 Produced in partnership with Teatro Real, Madrid, the production - returning to the stage of Dresden’s Semperoper in January 2018, a jewel of a house - featured such acclaimed Wagnerian singers as Albert Dohmen, Petra Lang, Christa Mayer, Andreas Schager, Vitalij Kowaljow, Gerhard Siegel, Kurt Streit and Georg Zeppenfeld. And the man in the pit - and a great statesman for Wagner - Christian Thielemann, took charge of the Staatskapelle Dresden of which he’s the musical director with firmness, passion and gusto. His trade-mark, I guess! A busy man, too, he’s also music director of the Bayreuth Festival and of the Salzburg Easter Festival. The Ring, modelled after ancient Greek dramas, was originally presented as three tragedies and one satyr play. 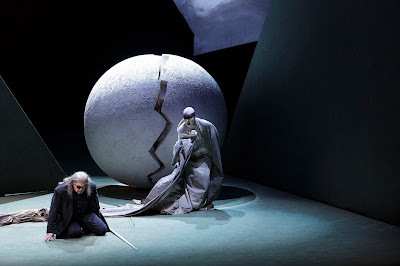 Therefore, the Ring proper begins with Die Walküre (The Valkyrie) and ends with Götterdämmerung (The Twilight of the Gods) while Wagner called Das Rheingold a ‘Vorabend’ or ‘Preliminary Evening’ and Die Walküre, Siegfried and Götterdämmerung were subtitled First Day, Second Day and Third Day respectively. The works are loosely based on characters from Norse sagas and the Nibelungenlied (The Song of the Nibelungs), a German epic poem written in the early 13th century by an unknown Austrian from the Danube region. Dresden, however, harbours a special place in the history of the Ring inasmuch as Wagner first thought about writing about the legend of the Nibelungen while working in the city as Kapellmeister to the Saxon court. 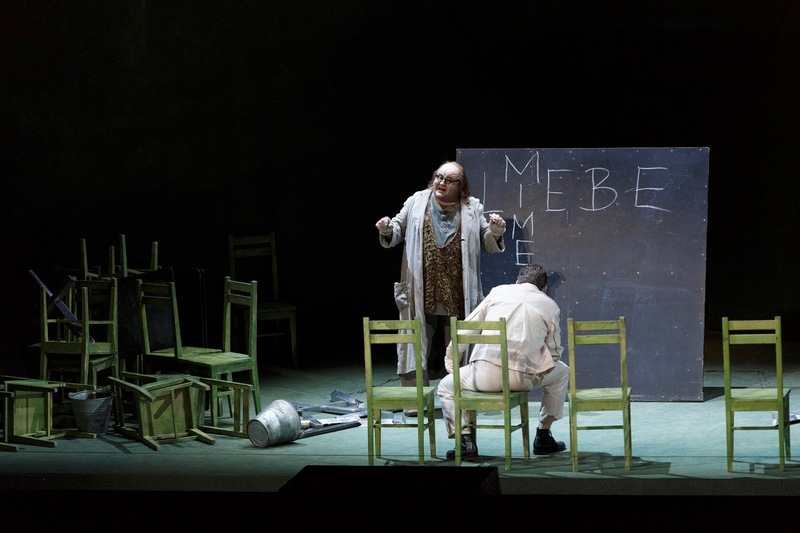 In fact, it was at Dresden that the first reading of the draft libretto took place. Therefore, it seems appropriate to see a Ring production in this city. 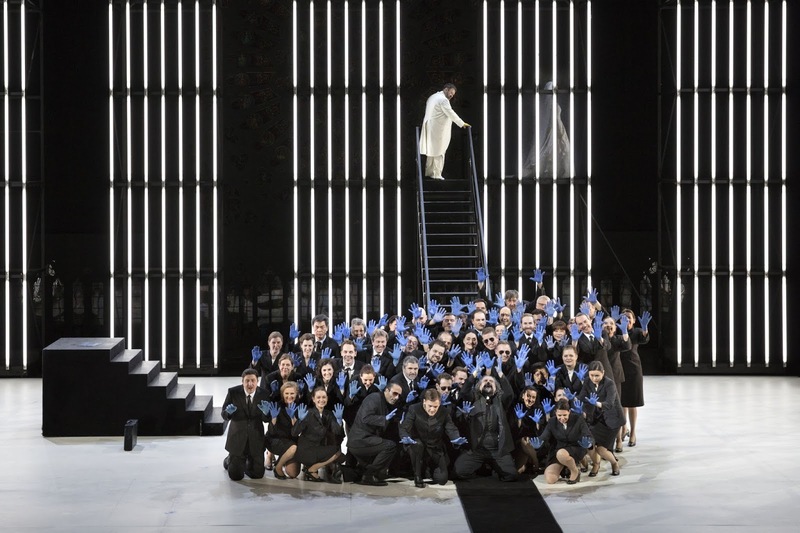 The production - which is truly loved by the opera cognoscenti of Dresden - worked for me hands down. 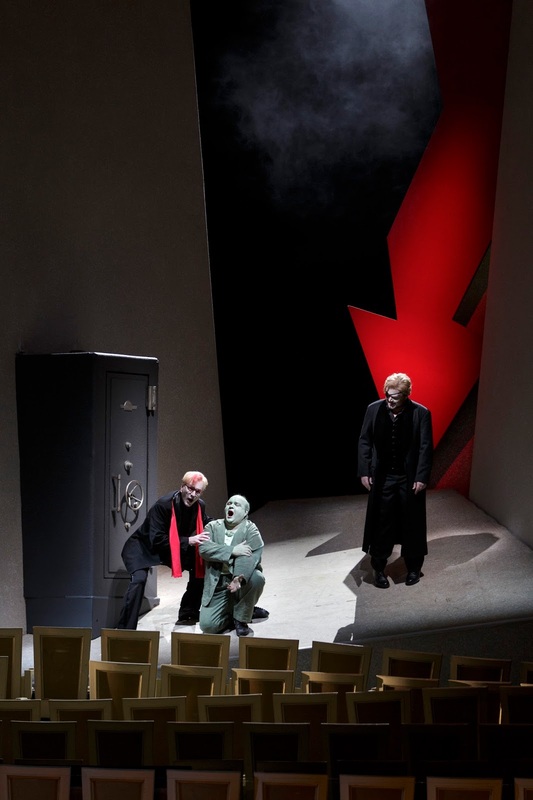 It was first seen at the Semperoper over fifteen years ago with Das Rheingold and Die Walküre receiving their premières in 2001 while Siegfried and Götterdämmerung followed a couple of years later. When the curtain went up on Das Rheingold the audience was met by row upon row of theatre-style seating covering the whole area of the Semper’s stage in a wave-like pattern clearly representing the running waters of the Rhine. Here Wotan and his fellow gods were seen scurrying into their seats to witness the unfolding drama of the Rhinemaidens. Shaven headed and attired in long white-coloured robes they told the legendary tale of the Rhine’s secret treasure portrayed in this production as an enormous golden ball while tantalising and teasing poor old Alberich, chief of the Nibelung, to bursting-point with their seductive and alluring charms. 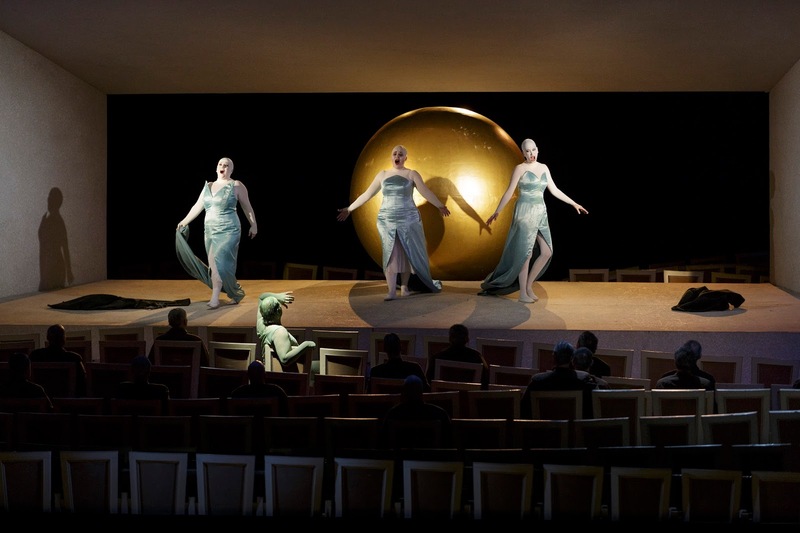 The famed trio - Christiane Kohl (Woglinde), Sabrina Kögel (Wellgunde) and Simone Schröder (Flosshilde) - sung and acted their roles as near perfect as one could get capturing the empathy of their respective characters so well. Without a shadow of doubt, the music and scenario of Das Rheingold fits every character like a glove and that famous (and distinctive) growling E-flat chord (held for the first 136 bars) captures so well the mystery of the Rhine. 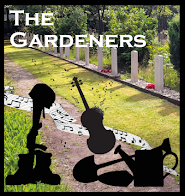 Slowly those haunting and tingling opening bars give way to a ripple of broken chords and arpeggios suggesting the gentle movement of water and dawn bursting through brilliant rays of sunlight. It’s a lovely opening to the opera that sets the scene so well. The set designer, Wolfgang Gussmann, working in partnership with Ms Frauke Schernau, too, on costumes, created an economical and imaginative set to say the least by placing the overall action within the confines of a theatre setting. A clever idea, for sure. Therefore, the struggle for the ring was duly carried out within the auditorium making this production as dramatic as they come. And those characters not involved in any stage action simply became members of the audience. 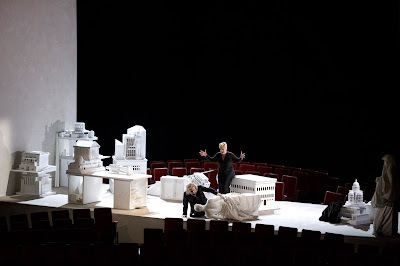 For instance, when Wotan leads the Gods to Valhalla (designed in the style of a Greek classical temple) the rainbow-bridge was, for all intents and purposes, a builder’s-type ramp positioned above the theatre seating while Loge was seen totally relaxed in his seat enjoying this precious moment with Erda (Goddess of the Earth) - sung regally and with such dignity by Janina Baechle who harbours a rich and warm mezzo-soprano voice - capturing the attention of a nervously-looking Wotan unsure of himself as he entered his new kingdom which, of course, he has paid a heavy price for. Overall, the cast was splendid and on top form. In fact, they were gold plated. Kurt Streit as Loge, possessed a strong and authoritative tenor voice appearing effectively on a red-painted, fork-lightning prop lowered from the gridiron wearing red-framed spectacles, a red scarf and sporting a red quiff while his whimsical mannerisms matched his pyrotechnical magic to the nth degree as befitting the God of Fire while the deuce who played the Giants - Georg Zeppenfeld (Fasolt) and Karl-Heinz Lehner (Fafner) - hit the mark not just by their vocal technique but simply by their presence as well. Padded out and adorned with pork-pie hats they looked the part from head to toe while awkwardly striving and moving to the sound of big heavy chords to frightening effect. 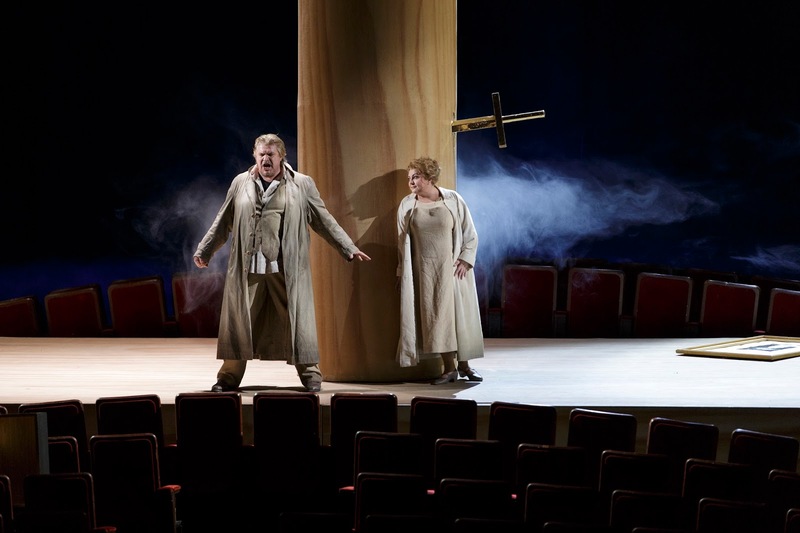 The dual role of Wotan/The Wanderer was brilliantly and strongly sung by Ukrainian bass, Vitalij Kowaljow - who previously worked as a fireman in his homeland - while his long-suffering wife, Fricka (Christa Mayer) - Goddess of Marriage - proved quite business-like in her dealings with him offering an intelligent and thoughtful reading of the role standing up to her aggressive, arrogant and wayward husband in no uncertain terms while Freia (Regine Hangler) put in a dramatic and confident performance. And the brothers of Fricka and Freia - Donner (God of Thunder) and Froh (God of Spring) were dutifully sung by Derek Welton and Tansel Akzeybek while Albert Dohmen played Alberich (a master of the role) aggressively, craftily and nasty as befits this ugly character while his long-suffering brother, Mime, admirably sung by Gerhard Siegel, felt the heat and beat of his anger. 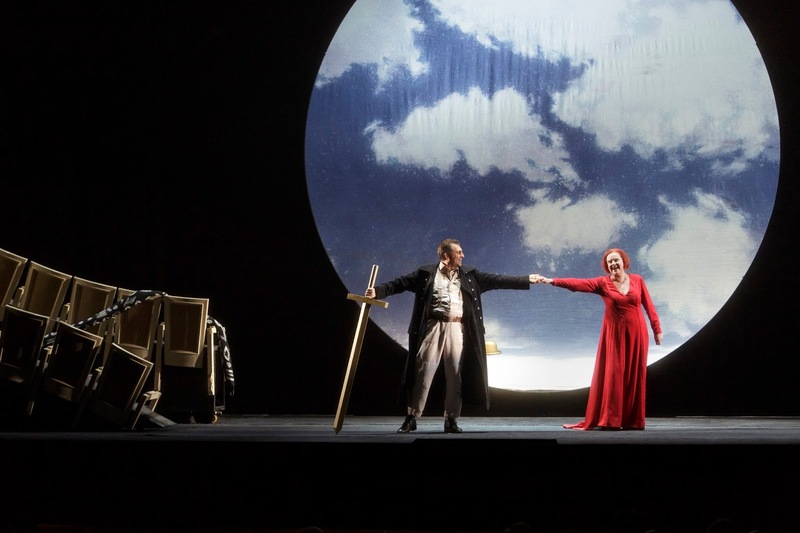 The pastel-coloured theatre seating used in Das Rheingold boldly gave way to a different permutation in Die Walküre inasmuch as they were bright red and set out in an arc-shaped formation that well suited the scene in which Brünnhilde - suitably adorned like the rest of her Valkyries with flaming-red hair, waistcoat and trousers - found herself encircled by fire on her rock. But, damn it, there was no actual fire and, indeed, no actual forest setting either in act II. The theatre seats were wooden made, I guess! Therefore, a steadily-increasing volume of glowing red light crept over the entire stage while the Warrior Maiden’s rock turned out to be a large circumference brilliant-white ball. Petra Lang as Brünnhilde (the first time that she has sung the role at the Semperoper) was athletic and youthful-looking in the part particularly in her tête-à-tête with Wotan explaining the vagaries of power and love to her as well as relating the story of the Nibelheim curse, the power of the ring and, indeed, how Erda gave birth to his favourite Valkyrie. Their parting and final farewell in the last act of Die Walküre turned out to be a heart-wrenching moment. 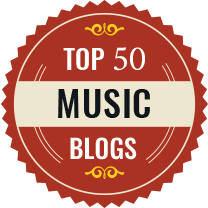 Both singers put everything they had into this dramatic and well-loved scene. The electricity between them was nothing but high voltage and coupled with extraordinary and thoughtful playing emanating from the pit under Maestro Thielemann, it was exciting stuff to the last bar. Mr Kowaljow and Ms Lang were seemingly on fire (no pun intended) delivering a thrilling climax in a performance that more than fuelled the imagination and roused the senses. 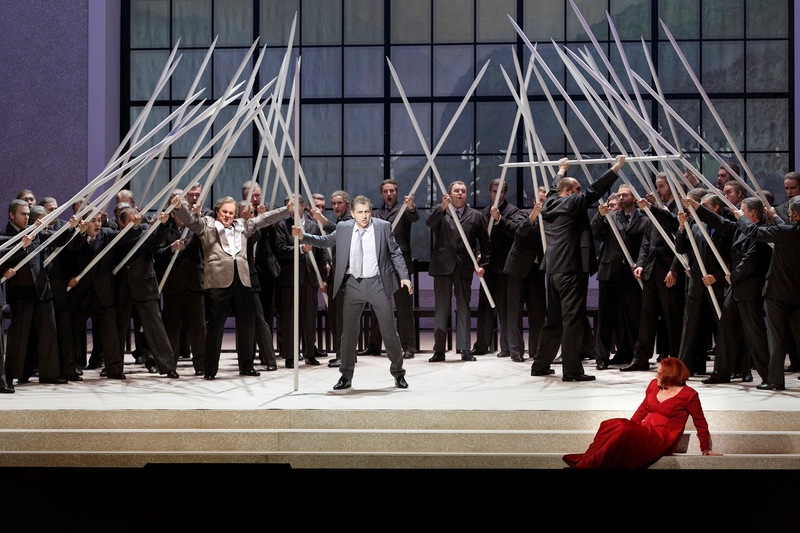 The opening act of Die Walküre, though, calmer and quieter all round, found Georg Zeppenfeld reappear on stage as Hunding attired in a smart tailored two-piece brown suit looking more like a bank manager than a forester. 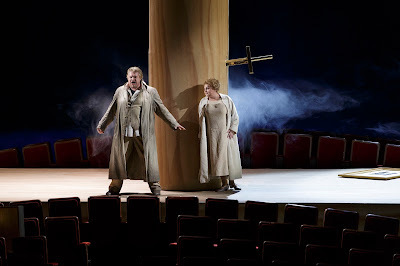 An amazing singer, he delivered a fine reading of this suspicious and sinister character while Peter Seiffert and Elena Pankratova fully stamped their credentials on the demanding brother-sister roles of Siegmund and Sieglinde delivering their great romantic number revealing their true feelings to each other in a powerful and assertive way. And power, of course, is the name of the game of the Ring, especially in Siegfried with Mime lusting for it and mirroring the boyish, naïve and unworldly Siegfried every inch of the way to get it and achieving his ambition of ruling the world through ownership of the Nibelung ring. The German tenor, Gerhard Siegel, flourished in the part. Surely, it belongs to him. Incidentally, he’s singing Mime later this year at Covent Garden and, indeed, made his début in this role at Covent Garden in 2004 reprising it in 2012. He’s worth every penny and his characterisation of this creepy, false and Janus-faced individual worked so well with the Siegfried of Stephen Gould who played his part as a wild and extravagant individual while it was all change for Götterdämmerung with Andreas Schager taking on the role of Mime which he sang so majestically and heroically. When Siegfried bursts into Mime’s scruffy and unkempt forest hut he’s clutching a large cuddly toy bear (the sort you win on a fairground coconut shie!) discovering Mime bundled up a corner under a heap of old broken chairs frightened to the core with fragments of metal - failed attempts by his scheming guardian of trying to forge the sword Nothung - scattered about. The act continued with The Wanderer and Mime challenging each other over a series of tricky questions that showed not just the quality of their singing but their acting ability too. And creativity at its very best clicked in for the forging of Nothung with a three-sided set acting as the bellows while the fire was employed (as throughout this production) by simply good lighting effects. This momentous and well-loved scene culminated in the demise of Fafner with Georg Zeppenfield reaching the depths of his solid bass voice so effectively while the dragon - which, surely, would wow the crowds at the Notting Hill Carnival - was operated by an eight-person team while Fafner’s forest den was squeezed into a squared fairground-style booth. That really sparked the imagination. The Woodbird was radiantly sung by Tuuli Takala off stage and acted by Emilian Antoci who also appeared in a doppelgänger role as Young Siegfried to good effect. And that delicate moment in which the Woodbird - who, incidentally, saves Siegfried’s life telling him not to drink Mime’s drugged potion - informs him about the whereabouts of his beautiful bride, it was given a different angle by Mr Decker who simply portrayed her wearing a flaming-red dress. Where was the rock? Somewhere! And the big scene that concludes the opera was absolutely and wonderfully sung by Stephen Gould and Petra Lang with Ms Lang’s voice radiating round the ornate white-and-gold painted four-tiered auditorium of the Semperoper in a glorious and ecstatic way that emphasised her love and total dedication to the hero of the hour that left a packed house spellbound by a totally convincing and rewarding performance. But in Götterdämmerung it was so different. Ms Lang seemed to lack the necessary fire and passion so dearly needed in this opera especially in the Immolation scene. Her voice projection, I thought, wasn’t as strong and forthcoming as one would have liked and as one had enjoyed, I hasten to add, earlier in the cycle. But, nonetheless, the opera was in keeping with the overall style and presentation of the production and witnessed Gunther and Gutrune, generously played by Martin Gantner and Edith Haller, seen chasing the pleasures of life sipping champagne (maybe trying to help them stave off the realities of life) in the Gibichung Hall which was adorned with a large landscape-designed panelled window offering a romantic view of the Rhine valley so admired by generations of German writers and artists while a large globe dominated one side of the hall and a drinks table the other. Get the picture? Dressed in evening wear they looked uncomfortable within their home environment while Stephen Milling (Hagen), their half-brother and bogus marriage broker, engages in an incestuous relationship with Gutrune. As usual, Mr Milling played his part to the full - mean, demonic and forceful at every turn. 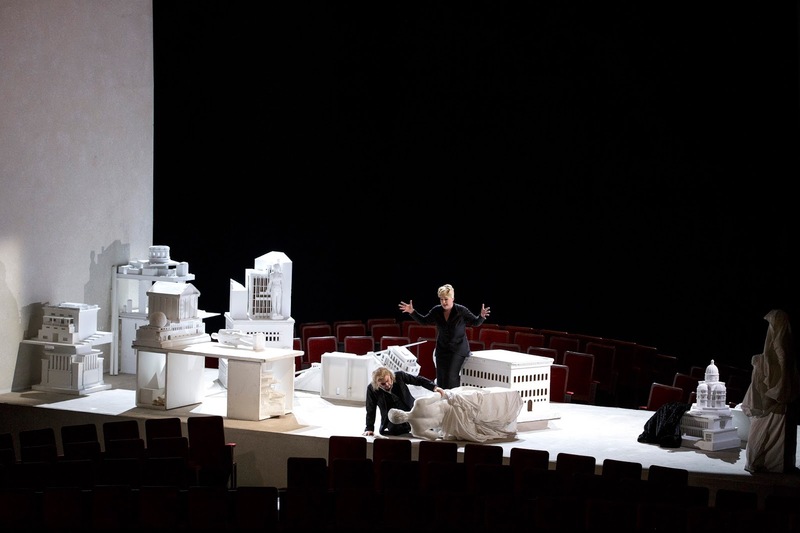 Christa Mayer (Erda was sung by Sylvia Köhler) put in a strong and confident performance as Waltraute. Dressed in a military-style long coat, her encounter with Brünnhilde encouraging her to return the ring to the Rhinemaidens to save the Gods and mankind showed total dedication and sisterly love for her. But when the Rhinemaidens eventually recover the ring it’s in a rather quiet and unassuming way unlike any other production I’ve ever seen and, indeed, a departure from the original libretto as Brünnhilde does not actually throw herself on Siegfried’s funeral pyre for a start but simply gives back the troublesome ring to the Rhinemaidens with The Wanderer looking on. Gracefully, they held it high above their heads entwined in a statuesque form reminding me of Antonio Canova’s Neo-classical marble sculpture, The Three Graces. And another departure from the libretto saw Gutrune revenging her brother’s death by spearing Hagen (fighting for the ring to the bitter end) to death before collapsing herself within the panic, turmoil and confusion of the ending of the Gods and their beloved heavenly home, Valhalla. Overall, this was a strong, thoughtful and compelling production which left a lot to one’s imagination. To give one example: the tricky scene in which Alberich boasts to Wotan and Loge about the powers of the Tarnhelm, the magic helmet was none other than a golden-coloured bowler-hat and the Giant was simply portrayed by the hat being suspended high in mid-air while the croaking Toad was represented by the hat being hurriedly passed between Alberich and his two nosey visitors. 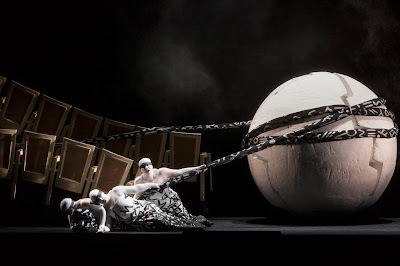 It was a simple but very imaginative and straightforward piece of staging that kept this intelligent and down-to-earth production alert and interesting recalling for me Wagner’s statement that ‘imagination creates reality’. Indeed, it does!